Delbert D. Black was born on 11 July 1922 in Orr, OK. He graduated from high school in 1940 and enlisted in the U.S. Navy on 14 March 1941. Upon completion of recruit training in San Diego, he was assigned to the USS Maryland (BB-46) and was aboard during the attack on Pearl Harbor on 7 December 1941. He later served at Receiving Station, Pearl Harbor; USS Doyle C. Barnes (DE-353); Naval Air Base, Samar, Philippines; USS Gardiners Bay (AVP-39); USS Boxer (CVA-21); USS Antietam (CVA-36); and U.S. Navy Ceremonial Guard, Washington, DC. He also served at Yokosuka, Japan ship repair facilities; USS Brush (DD-745); USS Carpenter (DDE-825); USS Norfolk (DL-1); Recruiting Duty, Columbia, TN; USS Springfield (CL-66); and Fleet Anti-Air Warfare Training Center (FAAWTC), Dam Neck, VA. During his career, he advanced from striking for the rate of Gunner's Mate to the rank of Master Chief. 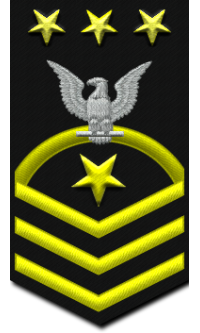 On 13 January 1967, the Secretary of the Navy announced that Master Chief Gunner's Mate (GMCM) Black was appointed as the first Senior Enlisted Advisor, the position that would evolve into Master Chief Petty Officer of the Navy. As such, he was the highest ranking enlisted man in the U.S. Navy, serving as the enlisted representative to the Chief of Naval Operations. He counseled the highest Navy brass on problems associated with enlisted guidance, leadership, and policy. Master Chief Petty Officer of the Navy Black retired in 1971. He was the first Navy enlisted man awarded the Navy Distinguished Service Medal. After retiring, Master Chief Black continued his involvement with the Navy through retired and active duty organizations. 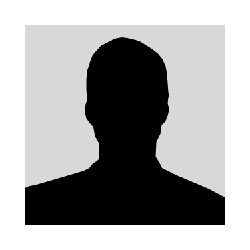 He was an active member of the USO Council of Central Florida; the Fleet Reserve Association; and Co-Chairman on the Secretary of Navy Committee on Retired Personnel. 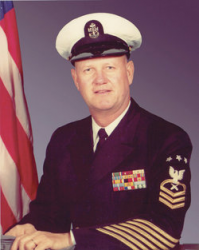 Master Chief Petty Officer of the Navy Delbert D. Black died at his home in Winter Park, FL at the age of 77. He is buried at Arlington National Cemetery in Arlington, VA.